This property is situated on 30 acres of the Kenai Peninsula. Featuring over 33,000 square feet of heated fabrication shop, warehouse, and office space, as well as 2,100 feet of waterfront and 1,000 feet of dock face. 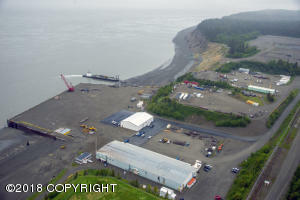 The facility can support year-round vessel operations of any size.